We are proud to announce that we closed an agreement with Mike Labelle, professional FIFA player for the New York Red Bulls. He has won seven national titles in a career that spans the past ten years. He is also an influential content creator, boasting over 280,000 subscribers on YouTube and over 70,000 followers on Twitch. He will explain everything you need to know to improve your FIFA skills. 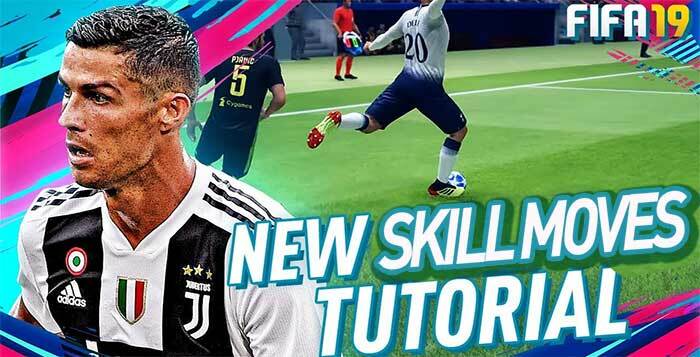 Today, he will introduce you to the new skills moves in FIFA 19: Open Up Fake Shot, La Croqueta and Neymar Rainbow Flick. Let’s look to each one in more detail. The open fake shot is possibly the best new skill move in FIFA 19. The regular fake shot has been in the game for years, and the controls for that have not changed (B+A); the only difference for the open fake shot is that you need to hold LB at the same time as you execute the fake shot. The open fake shot doesn’t necessarily provide value by itself, although it is still very effective in misleading your opponent, but it does open up the possibility of combining with other skill moves in a very deadly sequence. It’s also a very versatile skill that can be used in many different scenarios on the field. It’s probably best used when you want to open up space and find another player, but you can also use it on the wings to put the ball ahead of you and create a new opportunity to score. Ultimately, this move is best used when you have multiple options ahead of you, as your opponent will struggle to adapt and you can easily capitalize on their hesitation. The la croqueta is a new skill move to FIFA 19 that was popularized by Iniesta and has been requested by many FIFA players for years. It can only be performed by players with 4 or 5 star skills. The controls are very similar to the ball roll controls, but instead of holding LT and then holding the right stick to the left or right, you’re going to hold LB instead before holding the right stick to the left or right. The la croqueta is a very deceptive and aggressive skill move, and it can be used to fake going outside and cutting in, or vice versa. It’s also very effective when you’re on the counterattack and your opponent is hesitating and backing up his defenders. The la croqueta opens up space and allows you to better position yourself to make a pass or to wait until your other players are in position to attack, with either hold-up play or a more traditional cutback. It can also draw a lot of fouls as players will dive in and most likely catch the player before the ball because of how quick the la croqueta shifts the ball from one foot to another. It opens up new angles and brings something very exciting, aggressive, and unpredictable to your FIFA arsenal. The Neymar rainbow flick is yet another skill move that is new to FIFA 19. However, unlike the other skill moves, this particular skill move is exclusive to Neymar. The controls are the same as the regular rainbow. For using this particular skill in a game, you want to wait for defenders to be charging towards you, as it leave open space behind them for you to flick the ball into. You can use it to set up Neymar to take a shot or you can use it to flick the ball to a teammate making a run. The difference in the Neymar rainbow and the regular rainbow goes beyond the different animation styles; the Neymar rainbow actually goes a little further forward, meaning that you can only really hit a half volley rather than a regular volley.